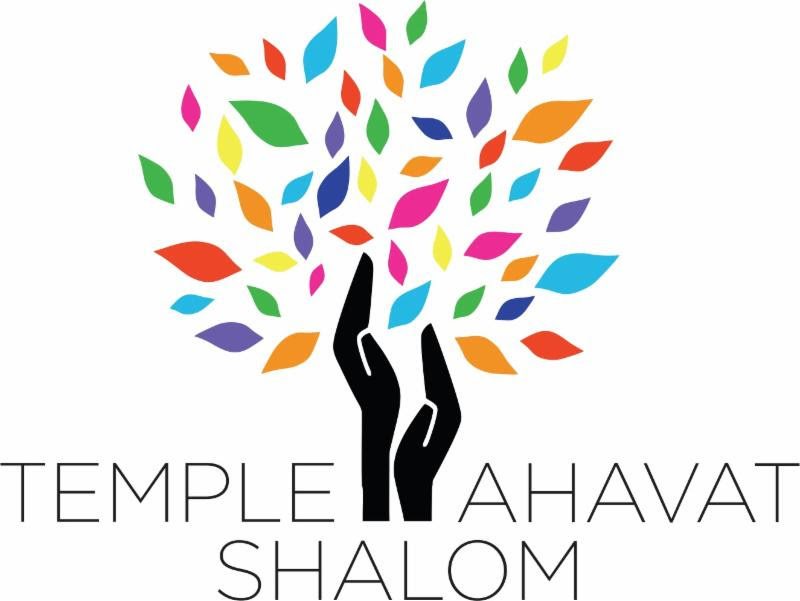 In this week’s eblast, Rabbi Shawna wrote about stepping up to the plate in the light of developing a sense of community, and how the Men of TAS provide a valuable example of the process. My reflection is based on this thought. So, enter TAS. I was immediately drawn to the ”Men’s Club.” The guys were friendly, and gave me the space to participate in activities I enjoyed, and not being forced or guilted into ones that were not my cup of tea. For some reason I don’t completely understand, raising my hand at a meeting made me a chair of some committee or other, and eventually into leadership in the group. Later, as president, I was fortunate to be able to introduce a couple of changes, including transforming our “Men’s club” into a community of openness and inclusivity, rather than be a group you had to pay to join. It was, and is, my belief that being part of a community is what helps makes us human beings, whole, and this part of relationship building has been vastly improved by my successors, Dan Faigin and Frank Soronow. A few years ago, the TAS Board did an interactive process, attempting to determine the one crucial element that defines Judaism. What could we live without, and still be Jewish? Surprising things were eliminated: a physical temple, a Rabbi, the Torah, and even God. The one thing remaining was “community.” Without it, there is no Judaism. We in MoTAS are here to continue to build upon what we have before, and help make it grow for the better. That is my MoTAS; that is my community. I like to joke that we’ve been at most of the congregations in the valley. We started at Temple Emet, came here for a few years, then back to Emet when they merged to become Kol Tikvah, then Temple Beth Torah, then Temple Beth Hillel, and finally, back here. If there was one thing I learned it was: If you aren’t active in the congregation, you don’t get to know anyone. This is especially true if you don’t have children, or your children are starting in their teen years or older. At Temple Beth Torah, I was doing everything, from Tot Shabbat to Publicity, and I burned out. At Beth Hillel, I did nothing. When we rejoined TAS, I wanted to get active again, but not at the Board level. I decided to go to what was then the Mens Club. I attended meetings for a few years, and then started proposing and running events. I was eventually elected to office, and I just finished two years as President. Through that experience, I’ve gotten to know this great group of men that do things for the congregation. In doing so, I’ve gotten to know congregational leadership, and through both, I’ve strengthened my relationship with the congregation. We don’t always see eye to eye – especially when we are talking politics – but we can set that aside because we’ve gotten to know each other as people. When you hear people talk about their connection to the congregation, especially at the High Holy Days, the key message is that the relationship was built over the years their kids attended school. I’m here to tell you that’s not the only way to build a relationship with a congregation. Being active is how you do it: come to a MoTAS or Sisterhood meeting. Become active on a committee. Build or join a Havurah. Not having young children is not a barrier to making friends at TAS. Further, being active can make you a better person. I’m a cybersecurity engineer. I’m not a people person; given my choice I’ll sit back and observe, hiding at my computer screen. Being active in MoTAS has made me exercise skills I needed: selling events, caring about others, caring about the congregation, being an active part of something instead of just an observer. I still hate making cold phone calls, but I’m a better person for my involvement with MoTAS. You can be too. If you’re not involved, become involved. If you are involved, step up and lead. If you are leading, be a mentor to an upcoming leader, and thank you. Two weeks ago, I visited the garden spot of the world. Well, it was really the Garden State of New Jersey. I went to the national meeting of the Men of Reform Judaism, held in beautiful downtown Newark. Fortunately, it snowed and covered most of it. I am on the national Executive Council of MRJ and attended as a Jewish Man, talking about Jewish male issues. That was it. Male issues of sports, politics, the election and drinking. Pretty fulfilling. Not much else to say. If you think that is all we talked about and we were that shallow, you would be wrong in so many directions. Yes, we talked about real issues that men have. With their jobs, their families, with their future. We also talked about Reform Jewish kids on Campus and how to stay connected with them through Jewish programming grants called Reform on Campus. MRJ is the only organization who fund reform Jewish programing at colleges around the country. We talked about how do we attract the younger men to become more connected and involved with the temple. We talked about a groundbreaking alliance that MRJ made with the Federation of Jewish Men’s Club, the conservative movements men’s organization. We talked about how to work with each other to strengthen each other not only nationally but down to the local groups. We talked about social action issues such as sexual attacks on college campuses. Not only women are being attacked but so are the men. One in five is the current number. WE talked about these and many more issues, but not just leaving it at talk, but taking action by spreading the word. Making people aware of these things starting at our local clubs. MoTAS already participates in many of these endeavors. More needs to be done. More talk. More action, more and better results. I am proud to be a member of MoTas and what they do. I am proud of MRJ and what they do. Come join us and make a difference in yours and others lives. I’m in the back half of my last term as President of the Men of TAS, and I’d like to share a secret with you about leadership in this organization. In fact, it really is a secret to leadership in any organization. It is a secret I’ve used not only for the Men of TAS, but in my conference leadership activities and those activities at work where I’ve taken a leadership role. This evening, I’m going to share that secret with you. First, surround yourself with good people. Second, delegate what you can to those people, so you don’t have to do it all. Third, trust in those people to do it right, and let those to whom you have delegated work know that you have confidence in them. Now, let me let you in on a little secret about that secret: It’s not a secret, but advice from a wise father-in-law. I asked the question of men from around the country: “What does Jewish Fatherhood mean to you?” It could be your relationship with your kids. It could be your relationship with your father. What have you done that makes it important to be a Jewish father? Does it mean something to you or does it even make a difference? Some of the answers I received were very interesting.